Are you experiencing sudden or unexplained headaches, earaches, or neck pain? 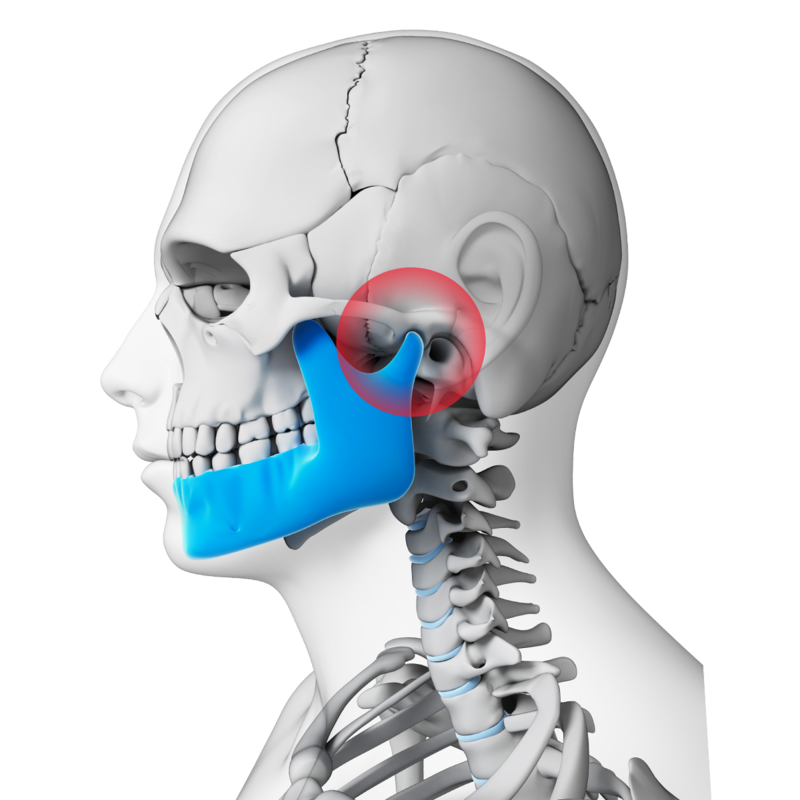 TMJ disorder causes many symptoms beyond jaw joint pain. It can make it difficult to open and close your mouth, result in chronic bruxism, and a range of other issues. At Michael Bixby Center for Advanced Dentistry, Dr. Bixby is dedicated to providing the best care and treatment to patients suffering from the dental damage caused by TMJ disorder. Read on to learn more, and then contact our Red Bank, NJ practice to schedule a consultation with us. If TMJ disorder is left untreated, serious damage can occur to the teeth and jaw. The more damage, the more difficult and expensive it is to treat. An injury to the jaw can misalign your upper and lower jawbones, leading to a bad bite. When your alignment is off, the teeth may hit or rest against other teeth wearing them down. This can eventually produce cracks or breaks in the teeth. TMJ can also trigger swelling, which makes you change the way your chew or speak to compensate for the pain and inflammation. These changes can be subtle or significant, but over time will create a more consequential problem. Bruxism, or teeth clenching or grinding, can be closely connected to TMJ disorder. This excessive pressure and friction can strip down the essential enamel on your teeth, eventually wearing down the structure. As it progresses, your alignment can change. If your teeth do not fit together properly, more complex oral health problems can develop. Your teeth should never feel sore from eating normal foods. If this occurs, it could indicate that something is not quite right. An abfraction lesion is a notched groove that develops on the tooth root along the gum line. Abfractions can happen when the tooth is actually forced to bend in its socket. The bending of the tooth will soon lead to cracks. Grooves and cracks are a common reason for severe sensitivity due to the now exposed nerves. This can be a very painful consequence of not treating TMJ disorder. Dr. Bixby is an expert in neuromuscular dentistry. Therefore, he is able to accurately diagnose orofacial conditions and create a comprehensive treatment plan for TMJ disorder. Using various reconstructive and physical therapy treatments, Dr. Bixby can effectively treat your condition and alleviate your pain and discomfort. Our entire team is committed to delivering top-tier dental services to those in our community. When you choose our practice, rest assured you will be receiving the highest level of care possible. If you are interested in learning more about treatment for TMJ disorder, schedule a visit at our practice. Personalized treatment will not only improve your oral health, it will also enhance your overall quality of life. Call our office at 732-224-1160 or contact us online anytime.